The Tara canyon is skydiving into the depths of earth, a furrow deeply cut between sky-high mountains, one of the deepest canyons made by river erosion forces in the world, the deepest canyon in Europe, and one of the most beautiful in the world. The canyon is 78 kilometers long, and its deepest sides are 1300 meters deep. The waters of Tara River are drinkable all the way and its going to give you unforgettable moments, and quite a fantastic feeling during rafting. One-day rafting from the Brstanovic camp to Scepan Polje is 18 km long trip that lasts 3 – 4 hours and includes photo shooting opportunities and swimming under waterfalls. This stretch of the trip includes 21 out of 50 cascades on Tara river such as: Brstanovici, Pecine, very dangerous Celije waterfall, Vjernovicki etc. We'll drive from Budva, Kotor and Podgorica to Šćepan Polje. When we arrive the breakfast will be served in restaurant in Šćepan polje where we'll get all the equipment. Further drive is with jeeps to the foothill- start point of the rafting. During the rafting we will have a few stops for swimming. 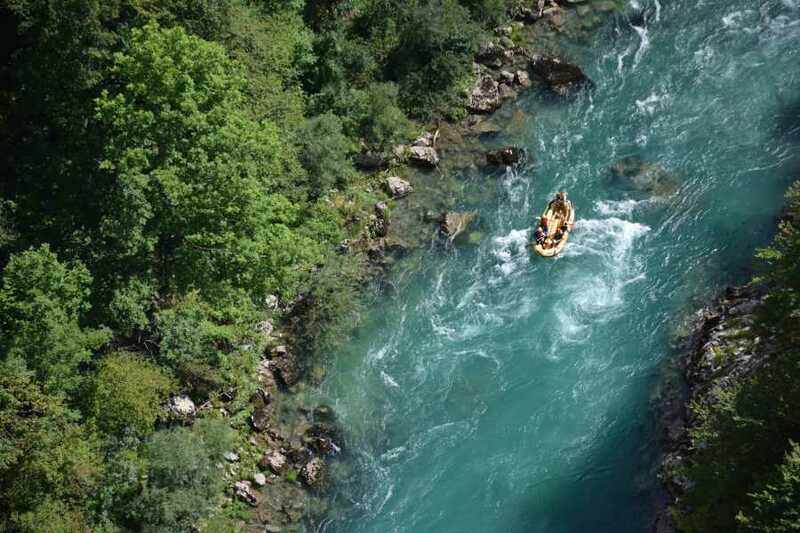 NOTE: Rafting tickets include entrance fee to National Park Tara, equipment for rafting, breakfast and lunch. Drinks at lunch are not included in the price.